Kittens go home May 9th. Welcome to double trouble! Kali (red collar) and Isis (no collar) just had their first double litter! Say hello to our five new kittens. Names and weights below. 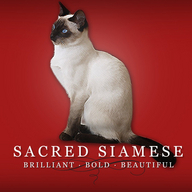 Do you love Siamese as much as we do?